A helicopter lifts off enroute to Hermann Hospital with accident victim Leroy Colquitt of Livingston. 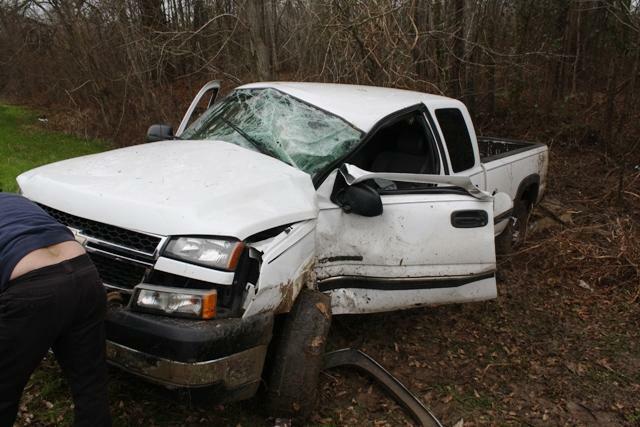 Livingston Man Life-Flighted from FM-350 Accident, LIVINGSTON, February 3, 2010 - At approximately 12:35 pm on February 3, 2010, a white 2006 Chevy Silverado driven by Leroy Colquitt, 56, of Livingston was north-bound on FM-350 South when his truck left the road to the right. 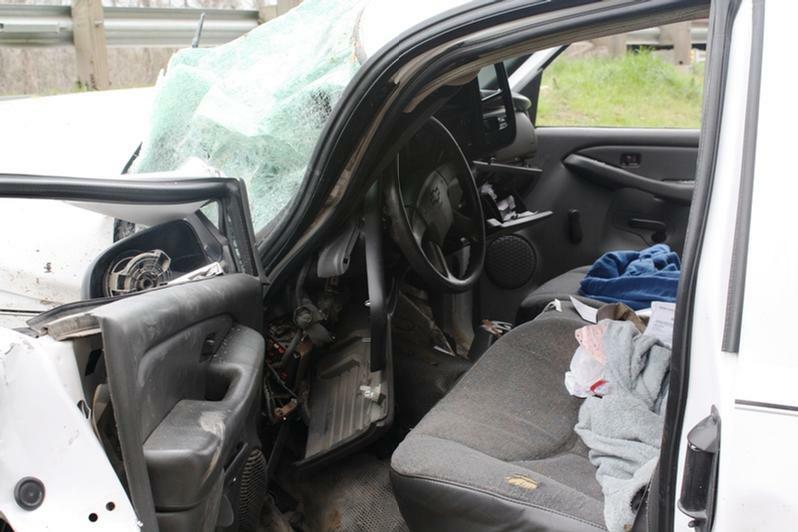 Colquitt cut his wheels left and then left the road on the other side, so he cut his wheels back right and over corrected and completely left the road to the right side, rolled down an embankment turning sideways in the process and slammed driver's side into a tree. Amerciare Ambulance Service was dispatched to the scene along with the Livingston Volunteer Fire Department Heavy Rescue Unit and four DPS Troopers including DPS Trooper Chris Stanbery. One lane of traffic was blocked during investigation and cleanup. 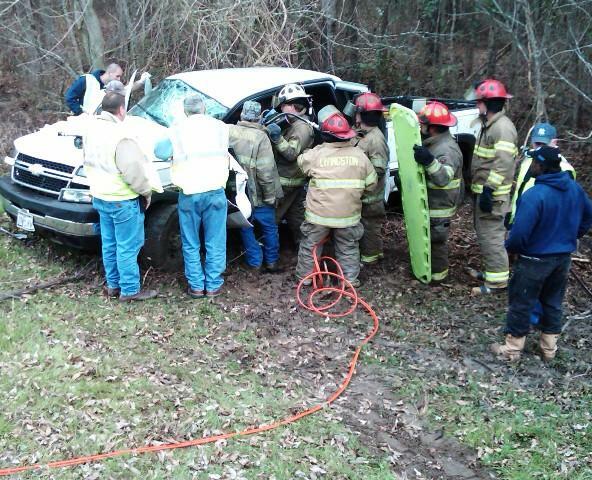 Firemen utilized the jaws-of-life to remove Colquitt from his vehicle. 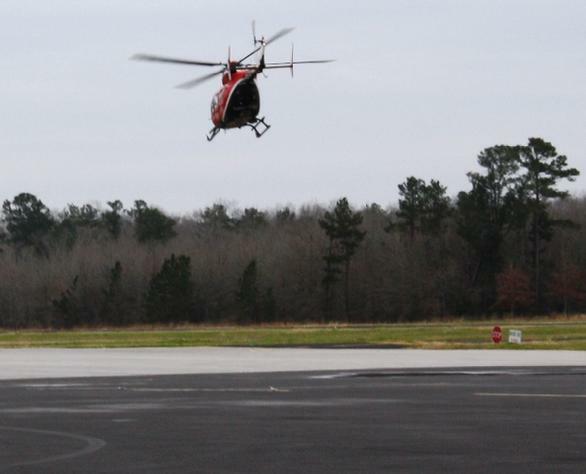 Colquitt was treated at the scene by personnel from Americare and then transported to the air field on 350 where a Life-Flight helicopter landed and transported him to Hermann Hospital in Houston. 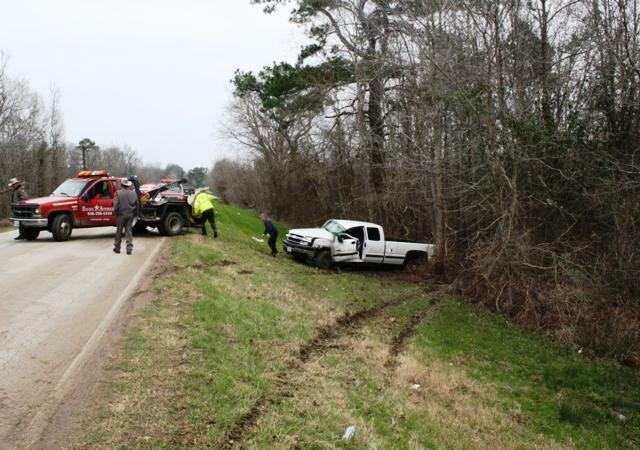 A wrecker from Harwood Wrecker Service recovered Colquitt's truck and it will be stored at 101 Harwood Drive in Livingston. Colquitt had insurance, but will be issued a citation for unsafe speed. The scene was cleared by 1:30 pm. 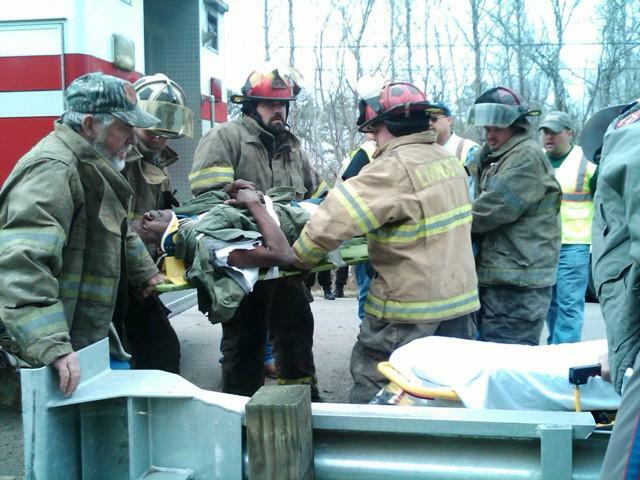 Firemen use the jaws-of-life to remove Leroy Colquitt from his truck (Livingston February 3, 2010). 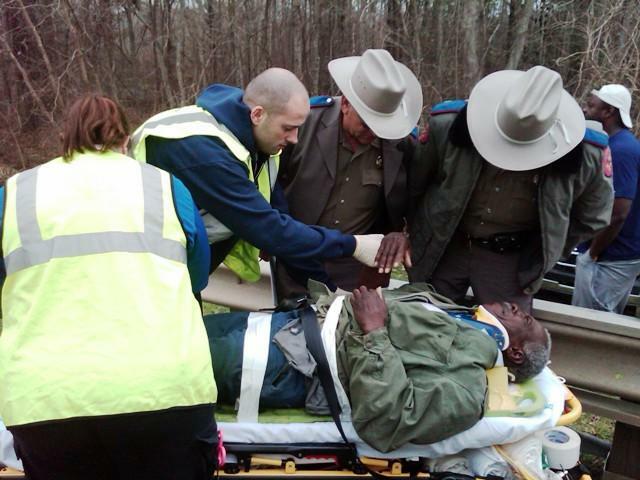 Firemen from Livingston get Leroy Colquitt to waiting EMS peronnel (Livingston, Texas February 3, 2010). DPS Troopers Darwon Evans and Kevin Burman try to speak with Colquitt. A wrecker from Harwood Wrecker Service pulls Colquitt's vehicle back up onto the road. 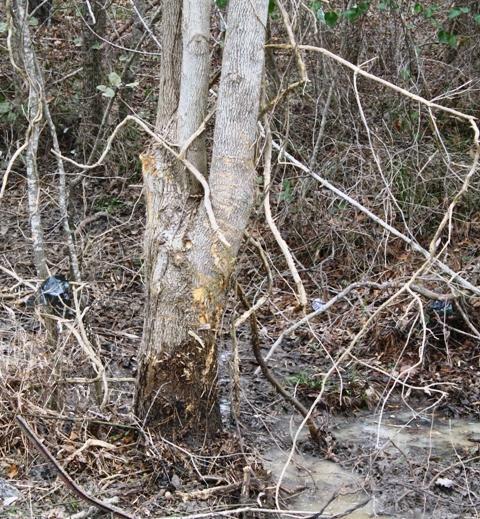 Colquitt's 2006 Chevy Silverado slammed into this tree. Colquitt's truck spun around and struck the tree from the driver's side.